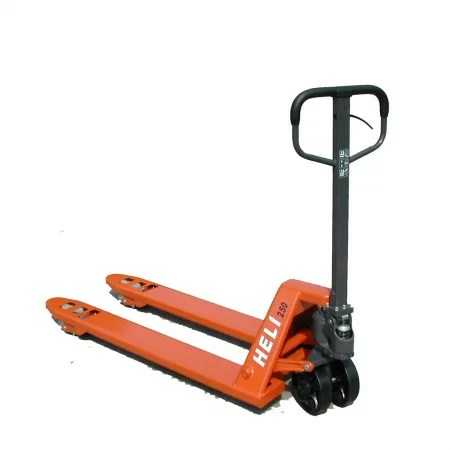 Heli Hand Pallet Trucks are the basic material handling models. All you need to do is pull the convenient lever in the large steering handle and effortlessly deposit the load. The special handle design of the Heli Hand Pallet Trucks offer maximum protection for the operator and makes raising loads and steering easier. Give us a call and we can help with choosing the ideal warehousing equipment that is suited for your requirements and your budget.